Double secure ar return shut-off system. ‘Here is the new Fathom LD 2 speed from Penn with letter “brake and 2-speed transmission. With a full metal housing, stainless steel gear and the skin case cover – Drag System, this series is ready for the fight with the large the seas. The sturdy chain has been made possible by Ausbohrungen considerably reduced in weight without losing strength. 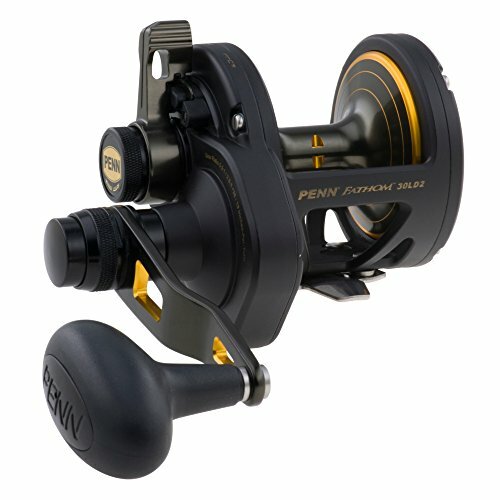 With the Penn Fanthom LD 2 speed offers the perfect combination of stability, weight and speed. With the quick shift system the Penn Fanthom LD 2 speed it is very quick and easy, the low in the higher Übersetzten motion, button. The Penn Dura drag system has been finished with a single study by Penn and one of the leading U.S. Car Supplier In Mind. The brake discs are based around the same high quality, even in high performance racing car in the USA will have a Full marking such as this. The skin case cover – Drag braking system is especially robust and durable.